Anna Karmazina completed her Master of Public Policy at OSU in 2016. She was born and raised in Tomsk (a Russian city also known as the Siberian Athens, so called because of its numerous universities and huge student population). 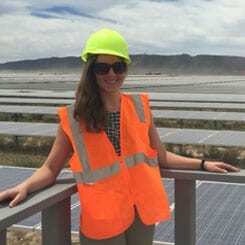 Anna was a research assistant for the OSU Policy Analysis Laboratory project “Renewable Energy Siting in the West” where she examined the main principles of stakeholder collaboration in the process of wind energy development. Away from the books, she enjoys listening to live music and exploring new places. She is now a PhD student in the School of Public Policy at OSU.